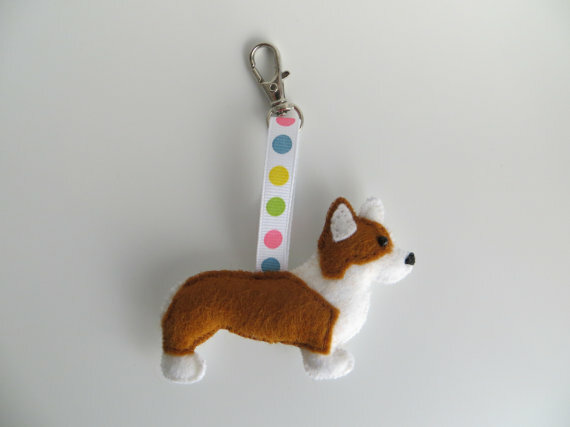 H6cm x W8.5cm (excluding hanging loop) Designed and completely hand sewn by me after a request from Corgi lover Mary. 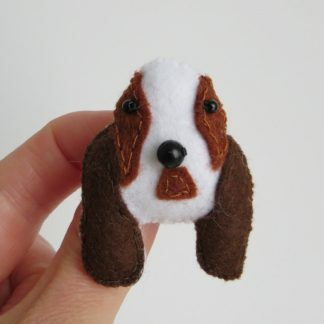 Made from felt and filled with polyester stuffing, a black bead for his eye and a cute embroidered nose finish the features. 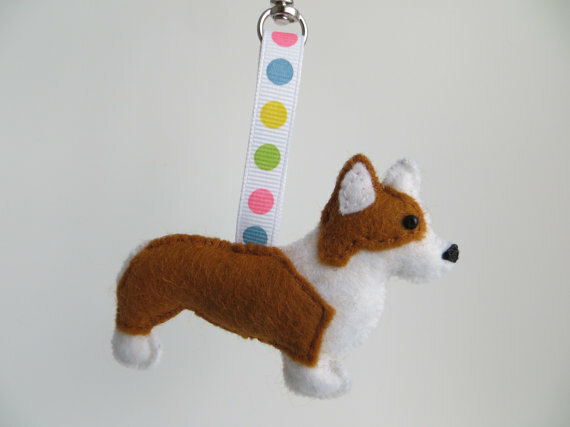 A multi coloured spotty ribbon for the hanging loop. 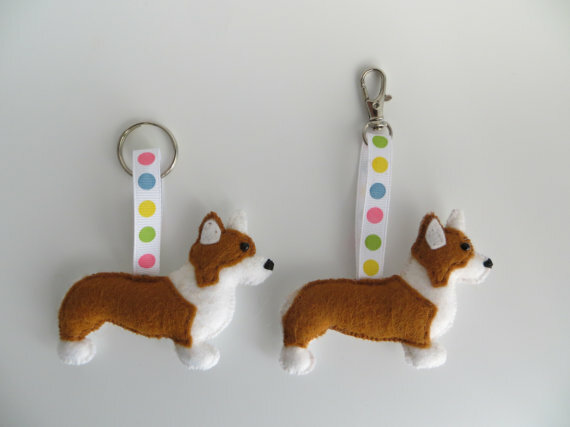 Also available as a keyring, keychain. Detailing to one side only. Materials: Felt, polyester stuffing, beads, ribbon, metal bag clip.